What does a study of 449 publicly listed companies in the food, textile, and wood-products sectors, tell us about sustainable supply chains? Their new “a large-scale empirical analysis of corporate sustainable-sourcing practices across multiple sectors and geographies” published by the National Academy of Sciences, says it has: “develop (ed) a global database based on a random sample of publicly listed companies with annual reports in English to provide insight into how the private sector contributes to advancing global sustainability via their supply chains”. Sounds impressive. So what are some of the findings? The researchers developed a “global survey of 449 publicly listed companies in the food, textile, and wood-products sectors with annual reports in English to provide insight into how the private sector contributes to advancing the SDGs via such sustainable-sourcing practices”. 60.5% apply to only first-tier suppliers. 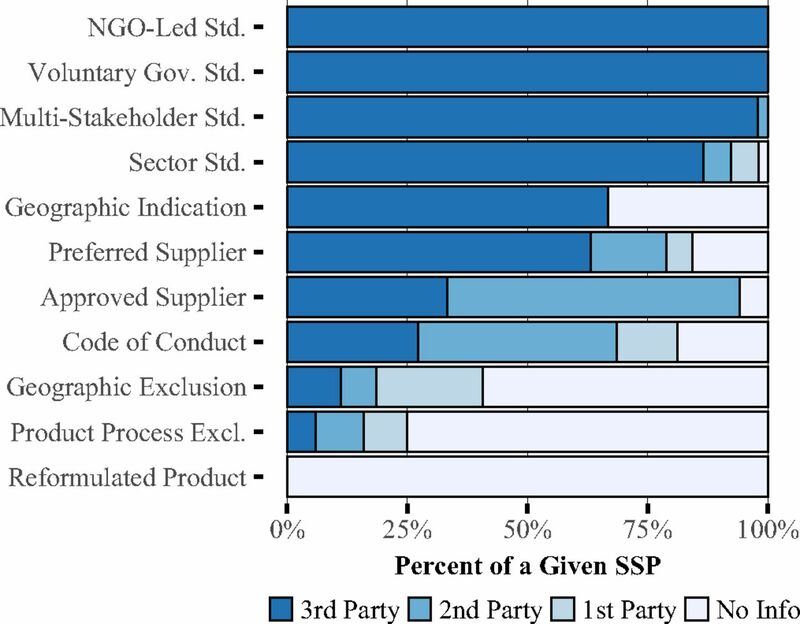 Given that non–consumer-facing companies are less likely to adopt SSPs, a transmission of sustainable-sourcing requirements down the supply chain may not be occurring, leaving many of the most challenging sustainability problems unaddressed. 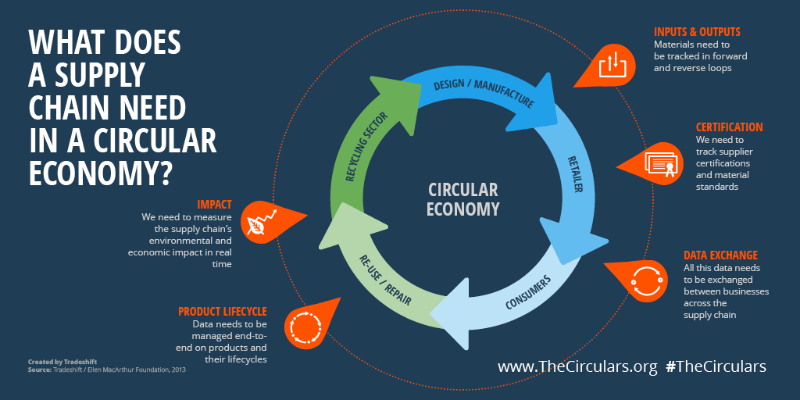 we also see a few leading companies finding innovative ways to address these more challenging topics, which suggests that there are opportunities for supply-chain initiatives to contribute to a more comprehensive range of SDGs. Companies also address the SDGs through internal or philanthropic activities, which is outside the scope of this paper. Our results also illuminate the influence of external pressures on SSP adoption. Companies that face consumer pressures, either by having a consumer-facing product, a high brand value, or by serving European markets, are associated with a significant increase in uptake of SSPs. These findings support the hypotheses that companies facing consumer pressure are most likely to adopt sustainability initiatives. My conclusion is there’s little here I haven’t read before, thought I knew, have heard, seen or been told about. But it’s useful to have a study to back up what one thought one knew. The authors acknowledge the limitations of the study but those limitations by no means negate the findings. 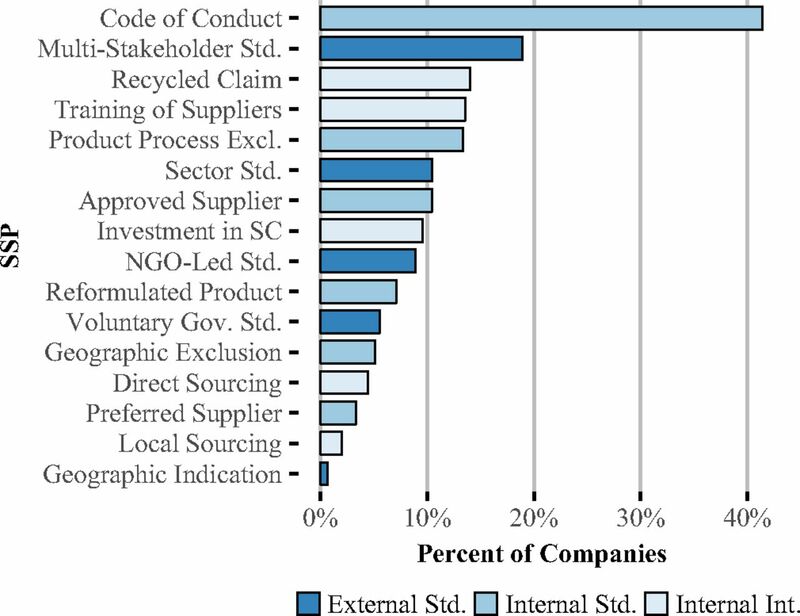 Overall, this is useful research to show us how far we have to go on sustainable supply chains, and how far most/all companies are from having genuine insight and transparency into what they source, and what the impacts of that are. This is understandable, given the complexity of supply chains and the lack of resources applied in most large companies to working on this area. As this begins to change, understanding the scale of the challenge ahead, and where average progress amongst large companies is up to, is helpful to grasp. Feb 13, 2018 | Posted by Toby Webb in CSR and Sustainability, Measurement, Reporting, Strategy, Supply Chain | Comments Off on What does a study of 449 publicly listed companies in the food, textile, and wood-products sectors, tell us about sustainable supply chains?